By Rev. Thomas Joseph White, O.P. Thomistic scholar and author, Rev. 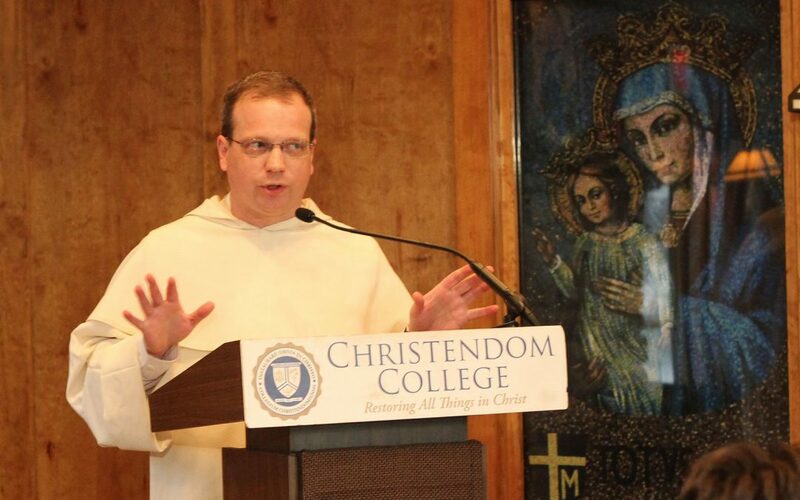 Thomas Joseph White, O.P., delivered the annual St. Thomas Aquinas Lecture on January 28, 2013 at Christendom College. The talk, entitled “How Does the Resurrection of Christ Illumine Human Reason? : From Benedict XVI to St. Thomas Aquinas,” explored the doctrine of the resurrection of the body and its influence on philosophical thought. Delving into the thought of modern philosophers on the relation of the body to the soul and Pope Benedict XVI’s response to them, Fr. White demonstrated that it was philosophically natural to hope in the resurrection from the dead.